Posted on 21, January 2019 by EuropaWire PR Editors | This entry was posted in Apparel, Fashion & Beauty, Business, Chemicals, Commodities, Economy, Financial, Germany, Investment, Management and tagged acquisitions, Adhesive Technologies, adhesives, Beauty Care, capex investments, Commodities, connectivity, currencies, detergents, digital transformation, digitalization, dividends, e-mobility, GROWTH, hair care, Hair Professional business, Hans Van Bylen, Henkel, Henkel 2020+, Industry 4.0, IoT, Persil, sustainability, sustainable profitable growth. Bookmark the permalink. DÜSSELDORF, 21-Jan-2019 — /EuropaWire/ — Since announcing its strategic priorities for 2020 and beyond (2020+), Henkel has made very good progress in implementing its strategic priorities and delivered a good business performance in 2017 and 2018 thanks to its strong portfolio of innovative brands and technologies. To capture growth opportunities mainly in its consumer businesses and accelerate the digital transformation, Henkel will step up investments by around 300 million euros annually from 2019 onwards. Around two thirds of this amount will be invested in Henkel’s brands, technologies, innovations and key markets while around one third will additionally fund the digital transformation across the entire company. Preliminary adjusted* operating profit (EBIT) improved by 1.0 percent to around 3.5 billion euros. Preliminary adjusted* return on sales (EBIT margin) increased by 30 basis points to 17.6 percent. The adjusted* EBIT margin for Adhesive Technologies was 18.7 percent (+20 basis points), for Beauty Care 17.1 percent (-10 basis points) and for Laundry & Home Care 18.1 percent (+50 basis points). Preliminary adjusted* growth per preferred share (EPS) was at 2.7%. On constant exchange rates, adjusted* EPS growth amounted to around 7 percent. adhesives market – across all industry segments worldwide. 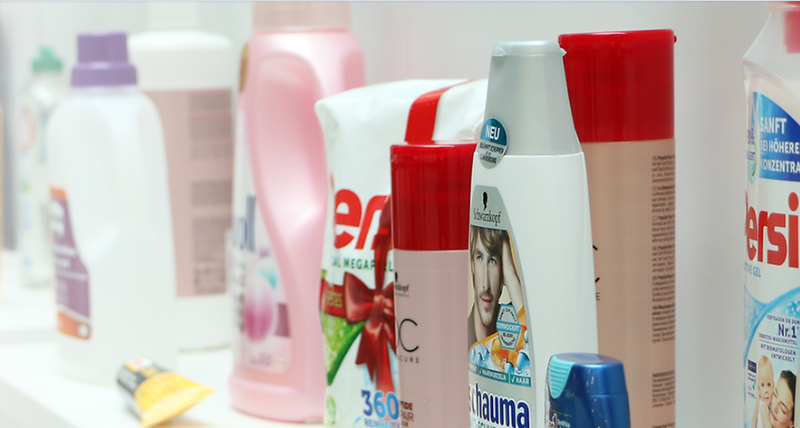 In its Laundry & Home Care and Beauty Care businesses, Henkel holds leading positions in many markets and categories around the world. Founded in 1876, Henkel looks back on more than 140 years of success. In 2018, Henkel reported sales of 19.9 billion euros and adjusted operating profit of around 3.5 billion euros. Henkel employs more than 53,000 people globally – a passionate and highly diverse team, united by a strong company culture, a common purpose to create sustainable value, and shared values. As a recognized leader in sustainability, Henkel holds top positions in many international indices and rankings. Henkel’s preferred shares are listed in the German stock index DAX. For more information, please visit www.henkel.com.